100 real Moms give real tips on patience. Meghan (AKA Mucky) is the third Mom is this quartet. She’s a super cool woman, loving referred to by our mutual niece and nephew as “Mucky.” Meghan ensures smiles in every room she visits! She has two of the cutest little girls, with the sweetest eyes, and the very best names! Most times the thought of raising girls scares me, yet looking at Megan’s little dolls I’m sure they won’t bring a day’s trouble! They are just far too angelic! 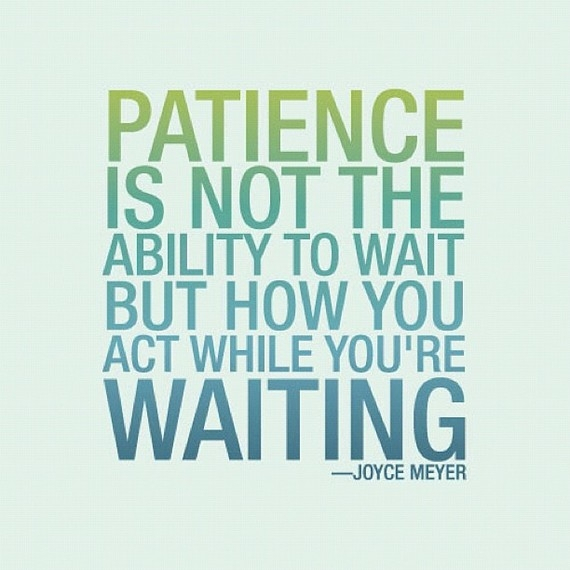 Teach yourself to be patient. What a gift you can give your children if you master Meghan’s tip #7, or even work on it, even a slight awareness. I think it is the most fortunate of kids to not have parents demanding urgency all day, every day. As for Michael, he did not have the luxury of a patient Mom. I really didn’t apply patience until 16 years in, and one huge spinal cord injury later. Urgency and haste was no longer an option. Patience were required and were non-negotiable! Up until Michael’s injury, I truly thought it was my job to teach him to hurry! I hurried in all I did, and in all I expected. I hurried to the playground and to the tree-climbing. I basically raced from one teachable moment to the next. “Come on Michael!” “Move it Michael.” “Let’s go Michael!” “Hurry –up Michael!” “Get your hat! Mitts! In the Car!” “Hurry and eat! Shower! Do Homework! Grow up!” All, far too common phrases in our home. It was unnecessary and anxiety producing for everyone. I hope no Mom will ever learn patience as I have come to learn patience. I wish no Mom ever finds their lesson as I did. The hard earned lesson taught to me by way of a spinal cord injury. It was only after Michael’s injury did I realize the madness I created and caused. It required every fiber of my being to suppress my need to rush. I remember within days it was evident to me: I could never use the word “hurry” again. I learned patience, only because impatience was no longer an option. The self-awareness was painful. I was haunted by my urge to push! I became acutely aware of constant rushing. I was even more aware – there was absolutely no need! It saddens me to know I imposed such anxiety on the simple processes of day-to-day life. I really felt all things could be done faster. It was as if things were in slow motion. I believed, my incessant pushing was required to keep things in moving, to keep the world spinning! I did not have patience. If I was not rushing Michael, I was thinking about rushing him. Today, I still don’t excel in the area; however, I am much better at keeping my attitude to myself. It has taken me a long time to understand people move at their own speed, on their own time, and have a schedule not reliant on my intense directives. I’m not so self-important now. I am thrilled for Meghan’s girls. Having a patient Mom is a treasure not granted to all children. It is a virtue!